Ellie graduated from the University of Glasgow in 2011 with a commendation. 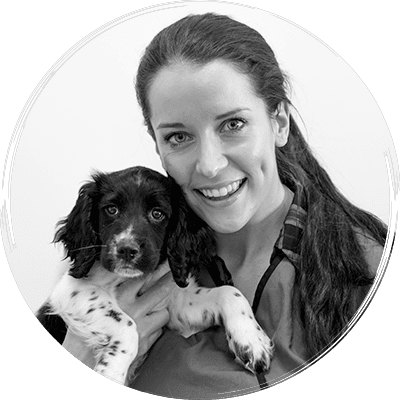 After spending a year in Northamptonshire working in a mixed practice, she moved to a small animal hospital in Berkshire where she completed her certificate of advanced veterinary practice. She then worked in a small animal clinic in London before completing her internship here at Davies. She is currently undertaking a 3-year residency programme in small animal surgery and studying for the European Diploma in Small Animal Surgery.